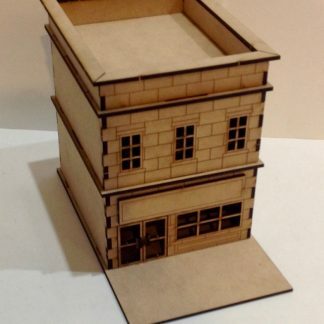 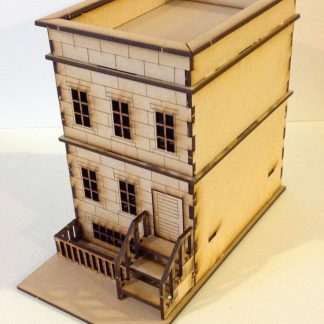 These buildings were initially designed for use with the Batman miniature game, but can serve multiple other purposes. 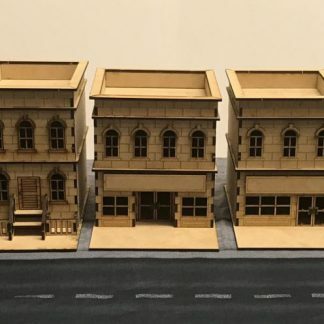 They are already being used for gang wars in both the pulp and modern era’s as well large buildings in the sci-fi Infinity game. 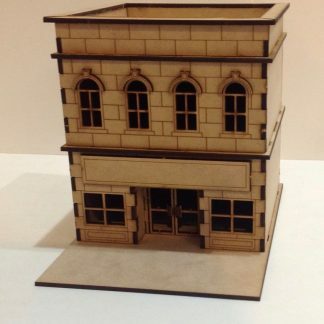 They are all made with detailed fronts, removable floors and roof, and front sidewalk areas. 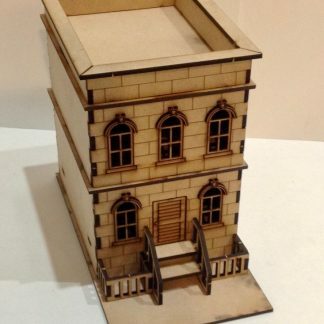 There is little side, back, or interior detail. 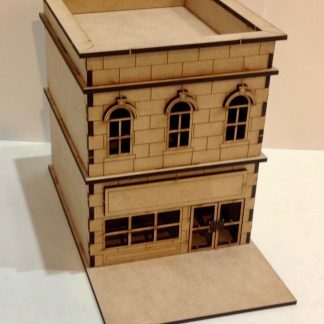 This is to keep the cut time down as well as the overall price, since you are likely to require a large number of buildings to make a usable city setting.